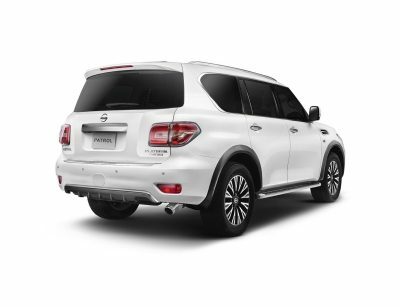 Dubai, United Arab Emirates – 01 October 2018: Nissan Middle East has unveiled the latest update to the Nissan Patrol MY19, with two bold new colours added to the line-up. 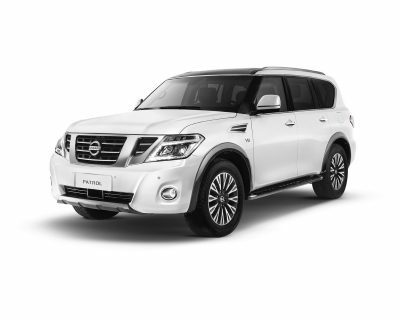 Tough on the outside yet welcoming on the inside, the Nissan Patrol is an all-terrain vehicle that effortlessly combines luxurious style and intelligent mobility features, with robust off-road power. The Patrol’s ruggedly-stylish appearance and all-conquering performance has led the model to become an inseparable part of the social and cultural fabric of the Middle East. The car’s popularity is ever-growing in the Gulf region, with a year-on-year increase in sales of 54.45 per cent* recorded for the first quarter of Nissan Middle East’s financial year (April – June 2018). The MY19 Patrol’s powerful design has now been enhanced by the introduction of two new stylish exterior colours to the range, Hermosa Blue and Forged Copper Brown. Bold and trendy, yet sophisticated, these colours are certain to turn heads both on and off the road. Working in tandem with its ruggedly good looks, the Patrol is armed with an array of Nissan Intelligent Mobility technologies. These innovations are redefining the very concept of how cars are designed, engineered and driven, and help make every trip exceptional for the new-age driver. The state-of-the-art technologies also promise occupants a remarkably safe driving environment. 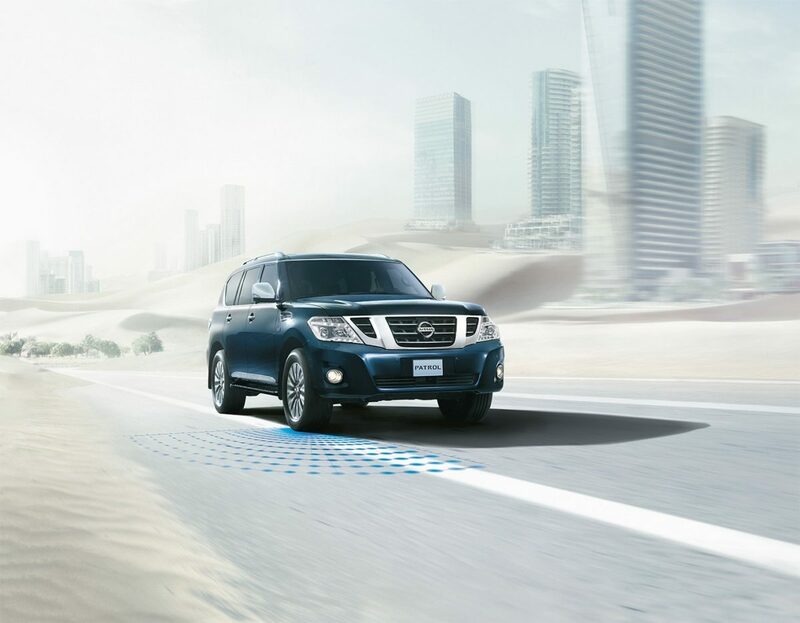 In front, Nissan’s Intelligent Forward Collision Warning and Intelligent Brake Assist warn the driver of risks that lie beyond the driver's forward field of vision and help with braking to avoid rear-end collisions. On the sides, Intelligent Lane Intervention and Intelligent Blind Spot Intervention alert the driver to potential lane drift and detect vehicles approaching in the blind spot area. When reversing, Intelligent Back-Up Intervention alerts when a moving object is detected behind the Patrol, and if necessary, automatically engages the brakes to help avoid a collision. Further intelligent safety features that underpin the Patrol’s credentials as a rugged endurance vehicle include Locking Rear Differential, that allows drivers to easily pull out of mud or loose sand, and the Traction Control System that senses when a front wheel slips and responds by instantly reducing throttle to help restore grip. Vehicle Dynamic Control automatically prevents the Patrol from sliding sideways on slippery road surfaces or when negotiating a curve. Other safety features include the 6 SRS Airbag System, Front Seatbelt Pretensioners and Load Limiters, Crash-sensitive Door Unlock, Active Head Restraints, Automated Hazard Warning Signal, and the automated Tyre Pressure Monitoring System (TPMS) which monitors and displays the current status of the car’s tyres. The Patrol is a car that is as comfortable navigating the urban jungle, as tackling the challenges of off-road driving. Intelligent 4x4 technology effortlessly switches between sand, on-road, snow and rock drive modes. Patrol also employs an advanced Hydraulic Body Motion Control System, with 4-wheel independent suspension, which helps give the vehicle superb stability on rugged and sandy terrain, while delivering a comfortable ride in the city. The MY19 Patrol is available in two engine sizes. The advanced 5.6-litre V8 engine offers 400 horsepower at 5,800 rpm, with a torque rated at 57.1kg-m/4,000rpm. The 4-litre Patrol V6 engine provides 275 horsepower at 5,600 rpm, with a torque of 40.2kg-m/4,000rpm. As part of its adventure-ready spirit, the car offers a standard towing capacity of 2000 kg. The MY19 Patrol will be available at Nissan dealers across the region from 1 October 2018 at a starting price of USD 47,000 (not applicable in UAE).